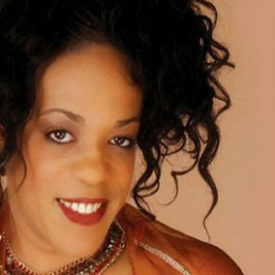 Singer Evelyn “Champagne” King first came to fame with the million-selling 1970s disco smashes Shame and I Don’t Know If It’s Right. Born July 1, 1960, in the Bronx, NY, she had a showbiz lineage. Her uncle was actor singer dancer Avon Long, who first played “Sportin’ Life” in the play “Porgy and Bess” and later starred in the 1970s play “Bubblin’ Brown Sugar”. Her father, Erik King, was a singer and often augmented groups that appeared at New York’s Apollo Theatre. By her teens, King had relocated to Philadelphia with her mother, and began singing in several groups. While working one night at Philadelphia International Records’ recording base, producer T. Life overheard some tantalizing vocals coming from a washroom. There he discovered 16-year-old Evelyn King and her mother. Signing the singer to a production deal and a contract with RCA, Life’s first single with Evelyn “Champagne” King was Dancin’, Dancin’, Dancin’. Her debut LP Smooth Talk was released August 1977. But it was a song written by John Fitch and Reuben Cross called Shame, that gave her career-launching success. The extended mix began gaining radio play and eventually the Top Ten on the R&B and pop charts by spring 1978. The follow-up, I Don’t Know If It’s Right also went gold, peaking at number seven R&B, number 23 pop in fall 1978. Smooth Talk went gold, and she made two more LPs with T. Life: Music Box and Call On Me. After teaming with a new producer, Kashif, King recorded two number one R&B hits during the early 1980s, I’m In Love and Love Come Down. Several of her LPs also placed high on the charts, including 1980’s Call On Me, the following year’s I’m In Love, and 1982’s Get Loose. She signed to EMI-Manhattan in 1988, and was teamed with Leon F. Sylvers III for Flirt, which included the tender ballad Kisses Don’t Lie. On The Girl Next Door, the singer worked with house producer Marshall Jefferson. In 1990, King recorded the album I’ll Keep A Light On for the British label Expansion, whose featured musicians were Larry Graham, Jeff Lorber and Paul Jackson Jr. 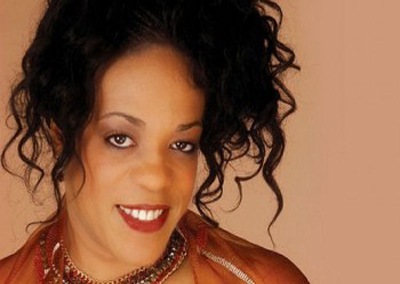 Many of the singer’s classic sides are on Love Come Down: The Best of Evelyn Champagne King. On September 20, 2004, King’s anthem record Shame became among the first records to be inducted into the newly formed Dance Music Hall of Fame at a ceremony held in New York’s Spirit club.The single Shame has been covered by artists such as Kim Wilde and Zhane. Love Come Down was covered by Sweetbox that featured the Evelyn herself. Dance artists such as Alison Limerick and Eve Gallagher also covered Love Come Down and Ruff Driverz with Shame. Shame was also featured in the game Grand Theft Auto: Vice City and can be heard on the radio station Fever 105. A part of the instrumental background was also played as lead-ins to the half-hour and hour commercial/local news breaks on Bill O’Reilly’s Radio Factor show.